The small things really matter when it comes to cooking (and many things in life). Is there something that you can change in your kitchen that will make an impact on your daily cooking activities? For example, do you use lots of garlic in your recipes, but are not that thrilled when you need to mince it, resulting in smelly garlic fingers? Then pamper yourself with a garlic press, honestly, it will change your world! 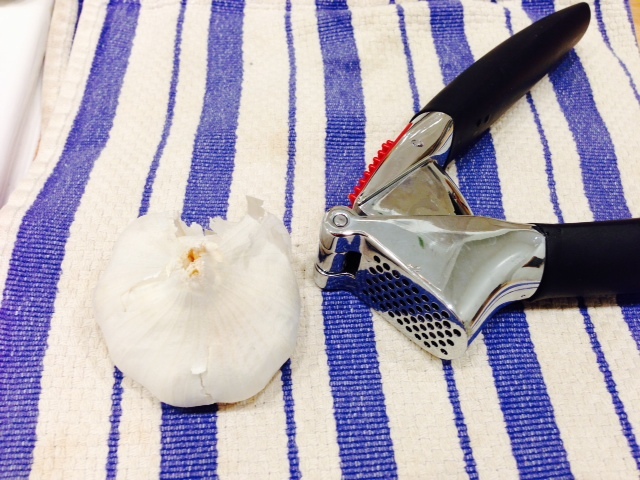 If you haven’t yet ventured onto a garlic press, you will be amazed at how efficient and helpful this tool is. You don’t even need to peel the cloves! All you do is place your garlic clove(s) into the press and squeeze, and you’ve got yourself some fresh pressed garlic in no time! Not only is this device a convenient cooking tool, research has strongly suggested that “using fresh garlic would provide maximal and added benefits” to cardiovascular patients, meaning it’s great for your heart. Due to its hydrogen sulfide contents, garlic relaxes blood vessels, allowing more blood to pass through when eaten raw. What cooking tools help you in your daily life? October is pumpkin season, and what better way to use them up then to treat yourself (and your family) to a halloween pumpkin mask! This could make for a perfect new fall family tradition. 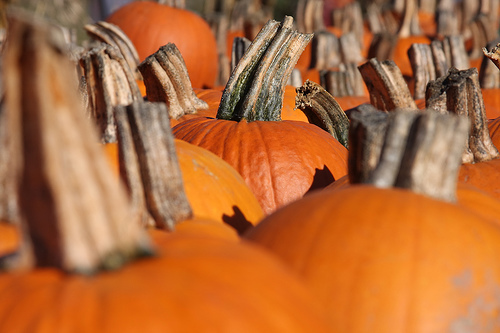 Not only are pumpkins great for carving, they are also great for our skin, containing high levels vitamins A, C and E.
Your skin gets soothed by the vitamin A, while it gets repaired by the vitamin E, and gets the added benefit of vitamin C which produces collagen and provides your skin elasticity. Sounds too good to be true? Try it at home, and have fun with your orange-hued faces! 1. Whisk: Place pumpkin, egg and honey into a food processor, and blend until mixed. 2. Apply: Avoiding the eyes, nostrils and lips, apply the mask to a clean face. Let it stay on for 15-20 minutes. 3. Remove: Rinse with warm water, and pat dry. Enjoy the beneficial effects of pumpkin! Looking for a fun food activity to do with your kids, friends or just need some TLC? 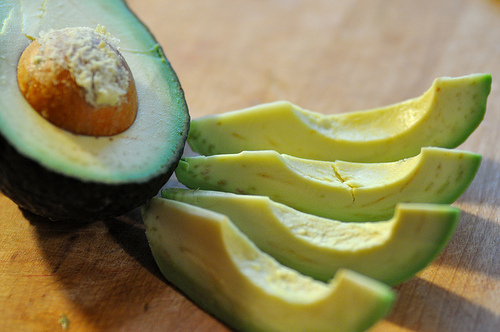 Look no further than a quick DIY food face mask! 1. Mix: In a bowl, mix all ingredients together in a food processor or by hand with a mortar/pestle, fork, whisk, potato masher (get creative!). 2. Apply: Spread a layer of the mask on your face and neck, avoiding your eyes and mouth. Place optional cucumber slices over your eyes, lie back in a comfortable chair, and relax, as the nutrients seep into your skin and the cucumbers refresh your eyes. Leave on for 15-20 minutes. 3. Rinse: Remove cucumber slices, and rinse off the mask with warm water. Pat dry. Enjoy soft, and glowing skin! Your skin will benefit from the unsaturated fat found in avocados, which helps moisturize and soothe, while vitamin E and C helps protect your skin from free radicals, while promoting strength and elasticity. Honey is loaded with antioxidants, and contains natural antibacterial and anti-fungal properties, which benefits those of us who have acne prone skin. The B vitamins and choline present in egg yolks are associated with reduced inflammation. The high water content present in cucumbers helps hydrates the skin around your eyes, and if stored in the fridge, the cooling sensation helps reduce swelling. What’s your favorite food mask? Mint is refreshing and cleansing! Not only does mint have a fantastic smell, it also has boundless beneficial properties like soothing the digestive tract, cleansing the skin, helping remove toxins from the body, freshening breath, and cleansing the blood. Here’s an easy mint tea recipe using fresh mint leaves that you can place in your fridge for iced tea, or serve hot on cooler days. Your skin, blood, digestion and breath will thank you! 1. Prep: Bring water to a boil. Rinse your fresh mint leaves. Place them in the grinder, and grind them up. 2. 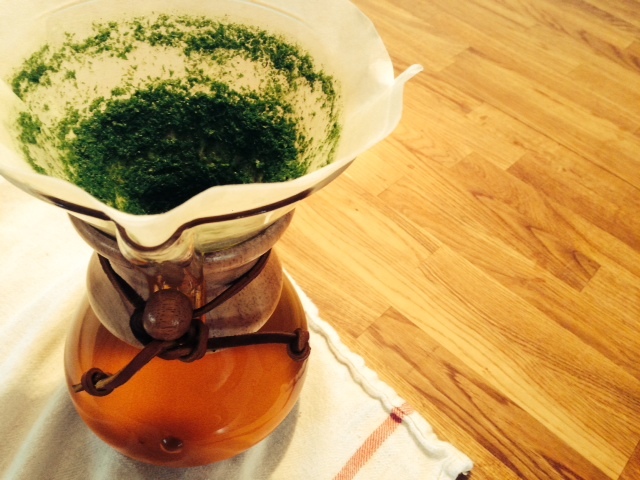 Brew: Place your mint leaves into your Chemex filter or your tea infuser. Pour your water over the leaves (if you are using Chemex, pour in a circular motion – if you are using an infuser, let it brew until the tea reaches a nice light brown color). 3. Drink hot or chilled: In the mood for warm? Sip slowly. In the mood for cold? Remove filter/infuser, and place in your fridge until cool. Serve with lemon wedges, and if you’d like a bit of sweetness add a bit of honey. Cooking is a necessity, something we all have to do a few times a day to fuel our bodies. Not only is cooking a method of fueling ourselves, it’s also a calming and centering activity, ultimately adding beauty to our lives. Have you noticed that when you cook, you are in a constant flow of concentration? This feeling is often times called “flow,” a psychological theory coined by Mihaly Csikszentmihalyi who wrote a National Bestseller book on the topic. So if cooking provides us with fuel, and allows us to engage in “flow,” can you think of another benefit cooking bestows? 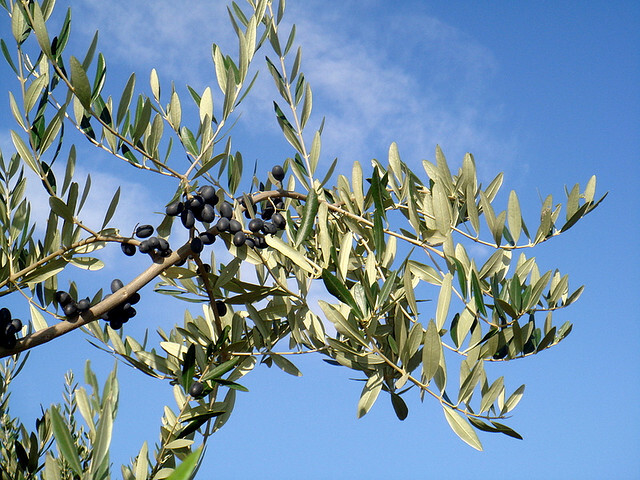 If you’ve ever made kale chips, roasted veggies or baked scones, your hands would have undoubtedly come in contact with some olive, coconut or canola oil, resulting in some very soft and healthy hands. No need for store bought moisturizers, just get in your kitchen and cook up some food with your own two hands! Remember, cooking not only brings about soft hands, but also encourages a clear, calm and centered way of life, enabling us to give, share and indulge in many of life’s simple pleasures.